Now and then, keeping a rifle sighted is a pain. Mostly it's because so many different sources for ammo results in every load being slightly different. 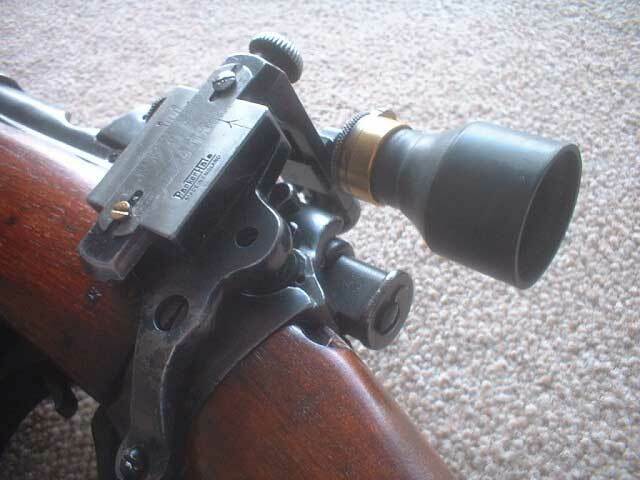 When target shooting my enfield rarely shoots to point of aim since I usually just shoot whatever bullets I can get cheap, so I may adjust the backsight some but usually hold over since I'm just shooting for fun anyway. But what if you want your rifle to shoot to point of aim? To start with, you will need a supply of ammunition that is consistant, either a certain manufacturers load or your own reloads. Once you have that, you can get to work on your rifle. 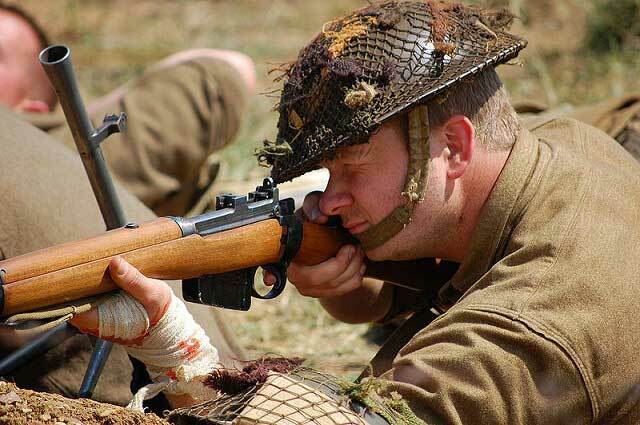 The guys over at Enfield Rifles Forum have a neat pdf available that was done by the British Armorers (REME) In it there are instructions for adjusting the backsight, and when that won't do what you want, then they move on to the front sight. The front sight can't be adjusted up or down, only laterally. Luckily the front sight blades come in different heights and these are generally available on Ebay. Also, if you are really lucky, you can find some Parker Hale sights for the enfield. They generally aren't cheap, and you have to be careful that parts aren't missing, but they turn an enfield into a tack driver.